We ate brunch at Ted’s Bulletin twice during our visit to Washington DC. We weren’t willing to stray to try another restaurant when we had enjoyed our food and visit to Ted’s so much. I always enjoy a creatively laid out menu and their old-timey newspaper drew me right in. And did you know? You can dance half an hour on just two slices of bread? Ah, those old advertisements sure know how to draw you in. 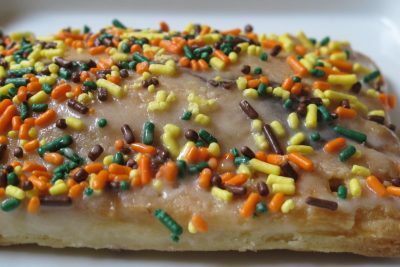 One of the delightful things that Ted’s is known for are their (seasonal) homemade pop-tarts. 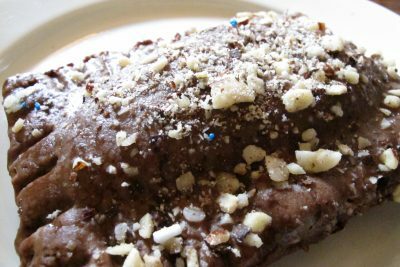 Homemade pop-tarts. I know. We sampled four out of the six current options and were not disappointed. Let me take you on a photo journey of our choices. Chocolate nutella pop-tart and Blueberry cheesecake pop-tart. 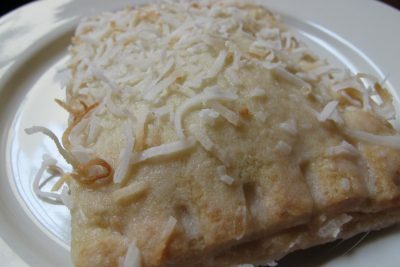 Brown sugar cinnamon pop-tart and Toasted coconut pop-tart. 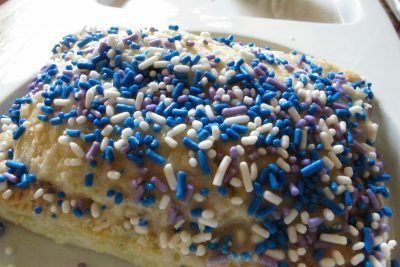 Sure the other food was good, too – but the pop-tarts were the thing that stole the show at each of our brunches. The flavours rotate depending on the season. I can only imagine how good the autumnal ones are. I definitely recommend a visit if you’re visiting DC; be forewarned it will be packed! Put your name in and go for a walk or grab a coffee while you drool in anticipation. Amazing that they text you when your table is ready. So convenient. I’m a weirdo. I only like the crust on pop tarts. Not the filling, not the frosting. JUST the crust haha. But maybe I would actually enjoy these?? I’m curious now!